“NUMBER 12?” asked the owner of Phnom Penh Teo Chew Noodle House during a busy lunch time rush. “How did she remember that?” I asked myself. I haven’t been to Dixon House Food Court for nearly two years and yet she still remembers me and what my usual is. The Dixon House Food Court is in the basement of Dixon House in Sydney’s Chinatown and resembles the classic hawker food courts you would find buried throughout buildings in Asian cities. It’s noisy, full of people crammed on chairs and tables, and has some 18 individual tiny kitchens emitting a blend of smoke, oil and garlic which lingers in the air. Phnom Penh Teo Chew Noodle House is a stayer. It has been dominant in “the survival of the fittest” Asian food court scene for around 10 years. Its name is deceiving – there aren’t any true Cambodian or Teo Chew dishes on the illuminated backlit picture menu which displays some 50 dishes (one dish however is named Phnom Penh noodle soup). The menu features basic soup, rice and braised and wok-fried dishes with variations on the combination of ingredients used – so a fish-ball soup can have noodles, pork and other extras added. Most meals start from $6. There is laksa (which is quite popular – from $8), and other dishes include sate chicken noodle soup ($6.50); braised seafood on rice ($8); chilli seafood on rice ($8); fish ball gow gee noodle soup ($7.50); and that food court favourite – special-fried rice ($6). With the noodle dishes you can choose from six varieties: thick egg; Hokkien; rice stick; mai funh vermicelli; for-funh vermicelli and thin egg. ‘Number 12’ is a dish I always have at Phnom Penh Teo Chew Noodle House. It’s the dumpling noodle soup with barbecued pork ($7.50) and I have it with the thick egg noodle. It’s a substantial bowl. Chopped Chinese greens and coriander blend with chopped char-siu barbecued pork all floating above chewy thick egg noodles in a light chicken-style flavoured broth (which can be adjusted with the tray of condiments at the counter – try the sate chilli oil and dried chilli). There are four plump little wonton – basic and lightly seasoned with white pepper and wrapped in an egg wonton wrapper. In previous days there were usually five to six wonton but the lack of that extra wonton of by-gone days is well compensated by the almost mountainous serving of char-siu pork (and prices haven’t increased for the past few years so there seems to be a bit of give and take). Delicious and filling, it’s a simple dish that is moreish and comforting. For a thirst quencher take a five-minute wander up to the corner of George and Goulburn streets where you will find one of two Sydney branches of Taiwan’s Ten Ren’s Tea which not only sells a large variety of Taiwanese tea leaves but also has a cafe (Cha for Tea) with a selection of Taiwan bubble fruit teas. Try the iced kumquat green tea ($4.50) as a takeaway. The other branch is in Chatswood. The verdict: No frills. 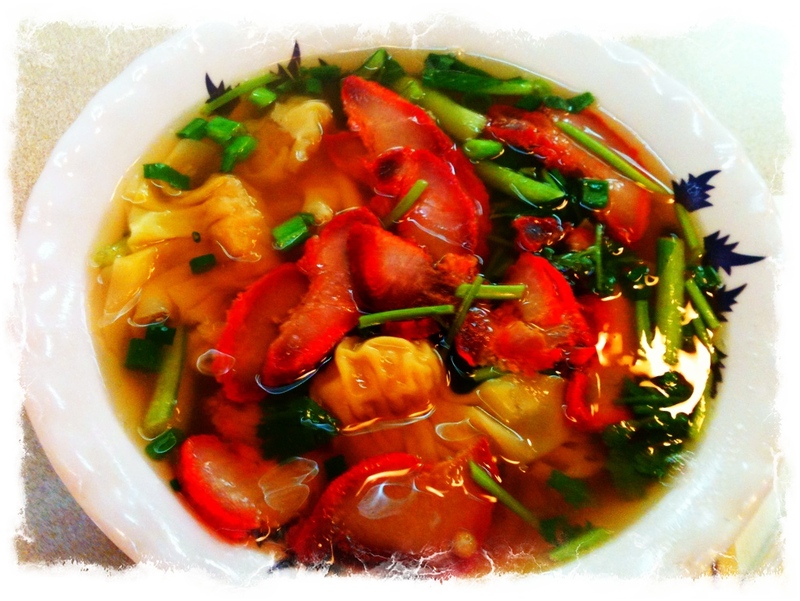 It’s the simple dishes that can be the most unforgiving if not executed well and when a simple stall can make a simple bowl of wonton noodle soup well – the result is spectacular. What: Phnom Penh Teo Chew Noodle House, Stall B2 at Dixon House Food Court, cnr Hay and Dixon streets, Haymarket, Sydney, NSW Australia. The food court is open seven days a week from 10.30am to 8pm (but some outlets’ openings vary). 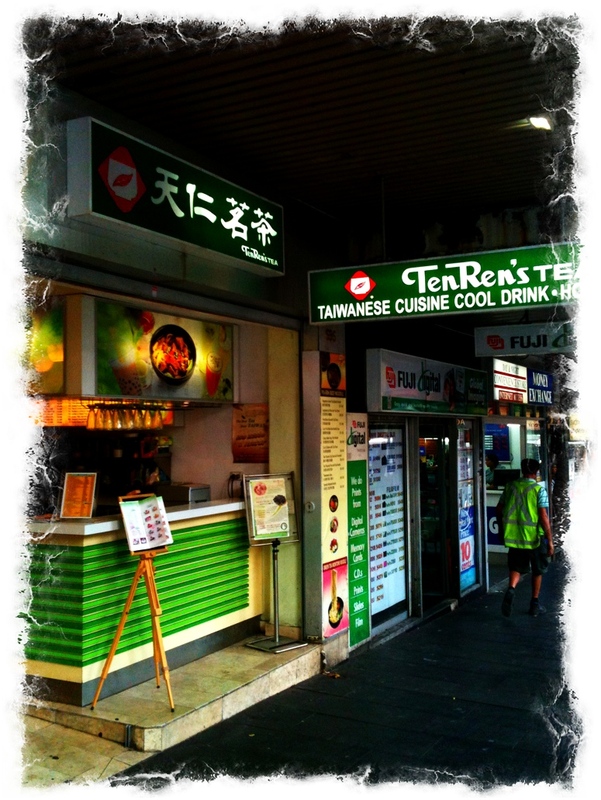 Ten Ren’s Tea, 696 George Street, Sydney, NSW Australia. Ate (and drank) there: 25 March and 5 April 2011. 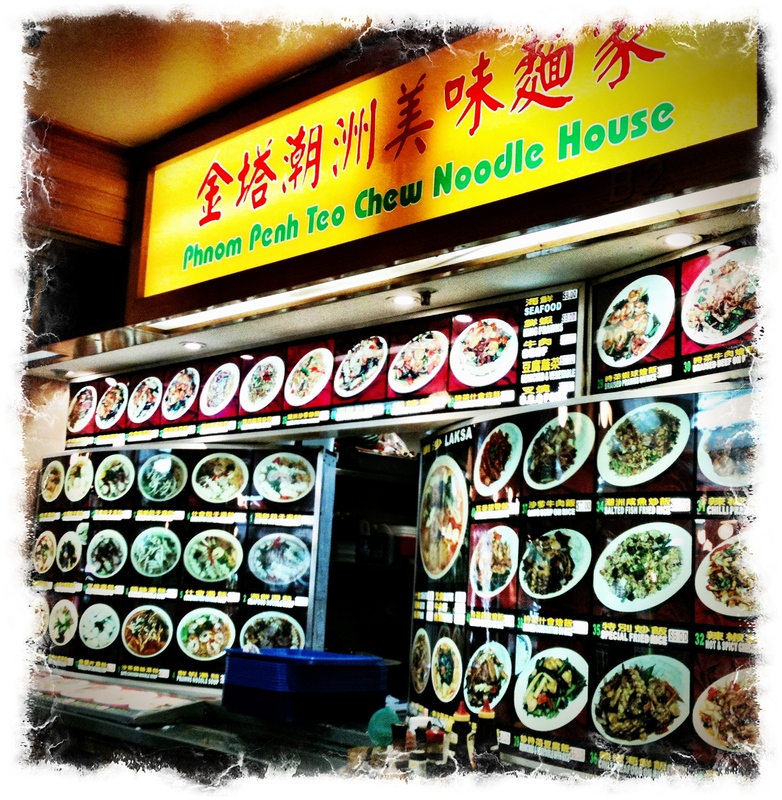 This entry was posted in Chinese, Hawker food, New South Wales, Street Food, Sydney and tagged Australia, Chinese, Dixon Food Court, Food, food court, Noodles, Phnom Penh Teo Chew Noodle House, street food, Sydney. Bookmark the permalink.